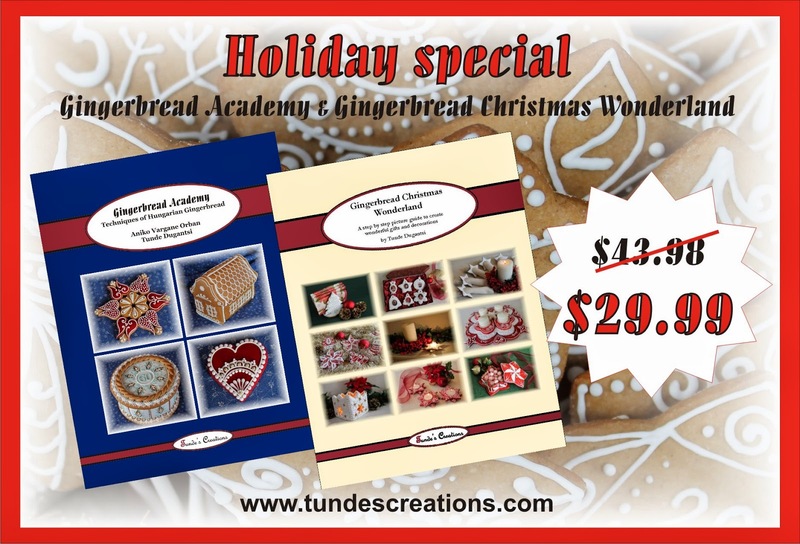 now you can order Gingerbread Academy and Gingerbread Christmas Wonderland at a special price. Gingerbread Academy will guide you through how to make and decorate gorgeous gingerbread cookies. Gingerbread Christmas Wonderland has step-by-step instructions to create 33 different Christmas projects, that can be great gifts or decorations. This special offer is available at my web shop.